Eilish McColgan hasn’t raced in Scotland since the Glasgow 2014 Commonwealth Games when she finished sixth in the Women’s 3000m steeplechase. A debut at the Emirates Arena in an international Grand Prix event was shelved when she was ill in the countdown and, as it happens, she’s never even trained at the Glasgow venue. Now she hopes all that will change early in 2019 when the European Indoors is staged at the Emirates on March 1-3 – with Eilish setting her sights on GB selection for the 3000m, after claiming a bronze in Belgrade in 2017. 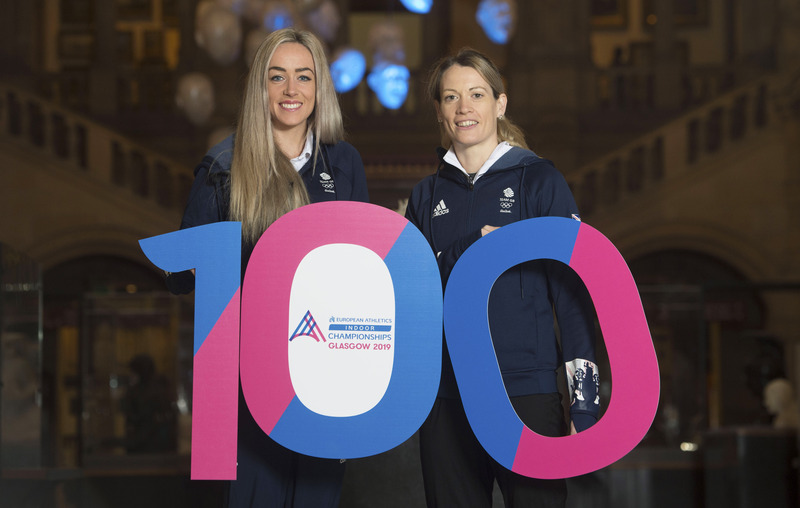 ‘I’d love the chance to race at the Europeans in Glasgow and that is very much the goal for early 2019,’ Eilish told scottishathletics, while on ‘100 Days to Go’ media duty in Glasgow. ‘As it happens, I’ve never ever raced at the Emirates Arena and I’ve not even been there for a session! ‘I was due to compete in a Grand Prix once but then I was ill not long before and had to withdraw. ‘That was a few years ago and, this time, I’m away on training camps over the next couple of months right up to the British Champs and Euro Trials – I will come straight back from South Africa and into that. ‘So it could well be that the first time I set foot in the place will be for the European Indoors – fingers crossed. 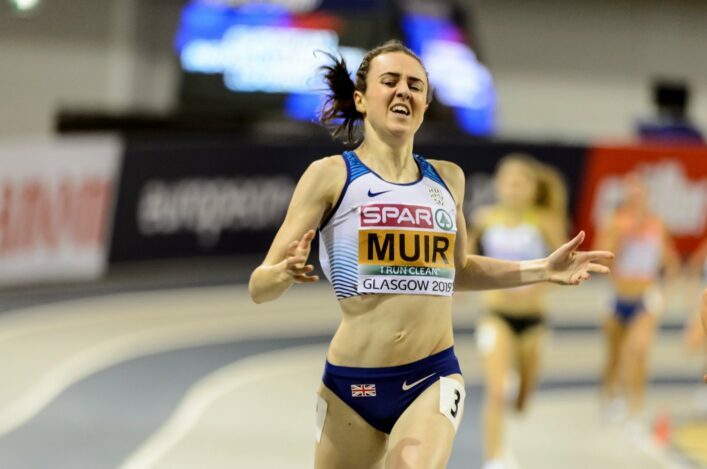 ‘I’ve heard a lot about it, of course, from the likes of Laura Muir and her coach, Andy Young. They tell me it is a great venue and I can only imagine how good the atmosphere will be with a full house and a Scottish crowd in there. ‘I think in many ways it will be like Hampden for Glasgow 2014 only (with fewer people obviously). 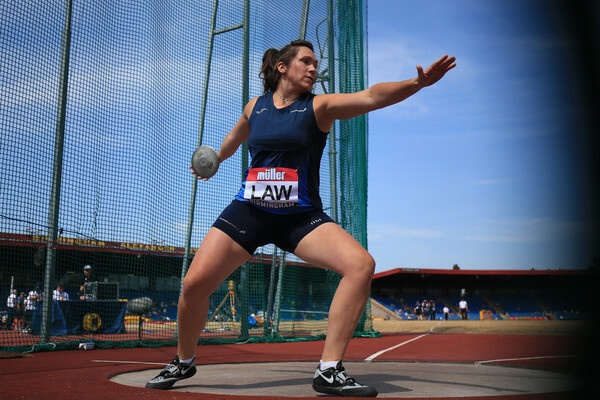 ‘But I do feel indoor events always generate a good atmosphere if they are full or close to full and I remember in Serbia at the Europeans two years ago it was great even though we weren’t home athletes, of course. ‘I won bronze in that event in the 3000m, with Laura winning the gold, and then it was silver for me in Berlin over 5000m outdoors. So I feel comfortable now competing at European level and, all being well, I’ll be there and in the mix. ‘The last time I ran indoors in Scotland would have been at the old Kelvin Hall. Years and years ago! It was pretty steep on the bends I remember. ‘I was there for Scottish Schools events and for Scottish age groups and all those events.